SHAILESH VARA (Conservative) Born 1960, Uganda. Educated at Aylesbury Grammar and Brunel University. Former solicitor. Contested Birmingham Ladywood 1997, Northampton South 2001. First elected as MP for North West Cambridgshire in 2005. Under-secretary of state for Justice since 2013. SHAILESH VARA (Conservative) See above. NICK SANDFORD (Liberal Democrat) Educated at Oxford University. Works for the Woodland Trust. Peterborough councillor since 1996. Contested Peterborough 2010. This is obviously some of the best territory in the country for UKIP. There are elections in Peterborough next year, although not in every ward. Yes, as a snapshot that shows a lot of support for UKIP. Nationally this support seems to be ebbing a bit, but that does not make prediction any easier. With first past the post any speculation is a bit academic as Conservative must be hot favourites to win and winner takes all. There might be a fairly close fight for second place. When asked what prime ministers most feared Harold Macmillan, former Cons PM, said “events, dear boy”. The electorate does not seem to show very great enthusiasm for any party, and one event, such as a war, would change everything. l Iook forward to the Peterborough results and some hard facts as provided by Andy JS. UKIP candidate announced as Peter Reeve. Could make things interesting, in 2020 if not 2015. It will be an interesting battle for 2nd place here. Peter Reeve is a very strong candidate. He is well known within the area and will make a very strong showing. I wouldn’t rule out a UKIP win here as the seat will be near the top of their target list. If UKIP win one Cambridgeshire seat, it will be this one. In fact I think that Vara is very vulnerable here. According to his Member’s Interests he has no property at all in the constituency, just a flat in London and farmland in the Gujarat. Reeve is a far more local candidate who is known to work very hard in Ramsey. I do not live in the area but Vara’s apparent lack of local residency doesn’t make him appear to be someone with a significant local profile. UKIP win here? I really don’t think so. Second place maybe but no higher. If they keep up their support in 2015 at current levels, they will carry this with the candidate they have. I doubt the majority will be more than 10% in any case! though obviously we will have to see the Peterborough results next year for the full picture; though K can see them leaning towards UKIP. First post this year for this seat. Probably shows there’s not too much doubt in potential posters’ minds that the Conservatives will win. Labour or UKIP for second place? UKIP slightly underperformed in the 2014 locals despite the fact that the European elections were held on the same day, so some voters almost certainly split their votes. Even so, Labour do not have a strong base in the area, so maybe, a little unscientifically, if I really had to guess I would go for UKIP to come quite a good second with about 20-22% of the vote. UKIPs popularity in Peterborough (which has wards in this seat) as well their ascendancy in the town of Ramsey are sure to launch them into 2nd place. …………though Labour has some strength in the Peterborough ward of Fletton too. There is a district council by-election on Thursday 7 Aug in Warboys in Bury and Warboys, not far from the UKIP stronghold of Ramsey. I will post the result on here when available, which will probably be the Friday. The location of the seat is in the UKIP leaning part of Huntingdonshire, and may not be representative of the whole constituency. Bury is contiguous with Ramsey, whilst Warboys is a couple of miles down the road. UKIP hold the county division covering the ward, but they were a fairly distant second this year. They appear to have fallen back this year, which isn’t unusual in areas where UKIP have a breakthrough. Popular rumour suggests NW Cambs UKIP aren’t very good at targeting because they over-concentrate on Ramsey, and the results this year don’t really argue against that. It’ll be interesting to see how they do when that variable is removed from the equation. Another factor this May was that the candidate was Andy Monk who was also on the UKIP list for the Eastern region. Although he wasn’t in a position where he had any chance of being elected, he will have had to devote mpst of his time in the weeks leading up to the election attending public meetings across the region, leaving him little to no time to campaign locally. This is also noticeable in the result Mark Hughes achieved in Royston though both results do also refelct that UKIP tended to fall back a bit (or at best stagnate) in those areas where they had done well in 2013. Result of the Warboys and Bury district council by-election 7 August. Slightly disappointing for UKIP, although they won elsewhere in Worthing. Looks like a decent prospect of UKIP coming second. Any local indication of how the previous Lib Dem vote might break down? If I were stereotyping the constituency I’d assume that while Labour and UKIP will take some left-leaning and protest voters respectively, looking at past elections the Liberals seem to have a reasonable core vote for an area in which they are not in contention. My conclusion that they primarily consist of voters who do not want to vote Tory and are not naturally inclined towards the alternatives. Given that their 2010 vote was pretty much in line with the national average, I’d assume that they’ll hold up better here than in most constituencies where they aren’t contenders, maybe 12-14%? But that’s all supposition, so I’d be interested to hear from someone who knows the area. UKIP expected to get the Warboys seat & were very upset about coming second. The Conservatives ran a very slick campaign with targetted literature; strong canvassing and “knock up” teams on the day. Against that they had the problem of introducing a candidate almost unknown in the ward and a short run up time because it was a by-election. The election was apparently slightly marred by UKIP’s Lisa Duffy verbally assaulting the winning candidate after the declaration and threatening to complain to the returning officer that it hadn’t been a fair election. So unusually tense for a district council affair. I have lived in this area for a generation, but in the absence of local opinion polls I am reluctant to make an in-depth analysis. One thing that is obvious both from this result and from Huntingdonshire District Council’s excellent website and election archive, is that voters in this semi-rural area are basically Conservative, and unlike electors in northern cities are unlikely to be turning to the Labour Party. My guess, and it is only that, is that after a decent interval when LDs have not been in partnership with the Conservatives, then the more socially liberal voters will start to drift back to the LibDems. The existence of UKIP makes actual prediction much more difficult. Right-wing parties in the past have always split and destroyed themselves, but no-one can be sure whether this will be the case with UKIP. What would hasten that eventuality would be a ‘yes’ vote on any referendum on the EU, i.e. yes to staying in. If there is no referendum, then the process will be more gradual. Any party which combines the remnants of the BNP, disillusioned Tories, the reactionary ‘bring back’ brigade, right-ish libertarians, English nationalists and the sod ’em all tendency (amongst many other strains of opinion) will not hold together for ever. I agree that from what I read and see on TV they seem to be a very broad coalition to say the least. The other parties are also coalitions, e.g. the Conservatives are a coalition of economic Conservatives and nationalist Conservatives among other things. Parties need success as well and that is where UKIP may fall down. Success for the oppostion parties after 2015 rather depends on events beyond their control, such as prosperity or otherwise and the competence of the government. On balance I too think that UKIP will not make it. Only fair to point out that, while many former BNP voters are voting UKIP now, the latter party explicitly refuses to allow former BNP or NF members to join. I think the same applies to other fascist parties – I don’t think it would be possible to defect from Britain First to UKIP for example. A number of ex-BNP members have joined the English Democrats instead, which is why Peter Davies left that party complaining of extremist right-wing infiltration. It wasn’t so long ago that the Lib Dems held the predecessor seat here, interestingly. They’re all but sure to lose second place this time, though. No, sorry, my bad, I was thinking of Cambridgeshire NE, not NW. How silly. If the greens stand they might just miss out saving their deposit and the liberal democrat/ labour votes might go a point or two down. Might be a worry for the tories but I think at best UKIP will come two or three points off a gain, probably more like four – six. Should still be pretty close, one of UKIP’s best 2010 results. I don’t claim to know a great deal about this seat but Robbie’s prediction seems to greatly overestimate the likely UKIP vote, and underestimate Labour and to a lesser extent even the Lib Dems, who should at least save their deposit here. UKIP should be the favorite to come second, ahead of Labour, but this should be a comfortable Conservative hold. I’m surprised Anthony hasn’t written a proper profile given the massive combined UKIP/ED vote in 2010. Robbie talking total boll*cks again. Total waste of time. I might as well sign myself up to a global warming forum and make ill-informed codswallop predictions about the rate of climate change. That would be a terrible result for the Lib Dems, but given UKIP nothing surprises me anywhere TBH. If they poll 8-10% nationally and hold 30-40 seats then it’s mathematically inevitable they’ll get 5% or so almost everywhere else. What I meant to say was ‘nothing surprises me anymore’ RE UKIP. If Labour’s vote rises by around 3 points nationally, I can’t myself see that being reflected in a constituency like this. I’d expect it to drop slightly. It could happen. It looks like happening in several seats across prime UKIP target counties such as Essex, Kent, Devon and possibly even Cornwall. The point I was making is that if Labour get 33% – a 3 point rise – their vote is going to rise by 5-10% in left-wing seats like Sheffield Central, Manchester Withington, Cambridge, etc. To compensate for that their vote is going to hardly move at all or go backwards in rural seats like this. 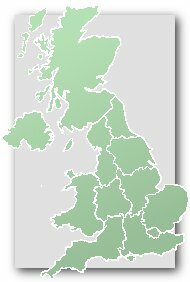 Where can I see a poll for nw cambs? I think my vote could depend on it!!! Electorate, 1st Dec 2014: 90,993. Why can’t the Boundary Commission ever get it right in this area? That’s why we urgently need another boundary review, regardless of which set of rules are used. Indeed and means Cons maintain control on Peterborough. Shaliesh Vara has resigned from government.